Just in time for the start of Summer, Patta present their latest collection. They have once again linked with talented London-based photographer and director Walid Labri who has created a new editorial and video to accompany their latest summer collection. WALID LABRI SPRING/SUMMER 2017 EDITORIAL from Patta on Vimeo. Details: The Patta Curve Logo Longsleeve is made from a light single jersey and features a relaxed fit that is slightly elongated. On the chest, the longsleeve is emblazed with a curved Patta graphic logo print in contrasting colours. The Patta Curve Logo Longsleeve is available in four colours: White, Black, Andorra and Green Ash. Each colour way is printed with an individual set of silkscreens. Details: The Patta Made You T-Shirt is made from a light single jersey and has a slightly elongated construction. On the front, the t-shirt features an artwork by Vincent van de Waal, showing one of his trademark skull illustrations in front of a purple square surrounded by the words “Patta Made You Look”. The Patta Made You T-Shirt is available in two colours: White and Black. Each colour way is printed with a set of multiple silkscreens to achieve the contrasting colours. Details: The Patta Solar Curve Hem T-Shirt is made from a light single jersey and is constructed with a curved bottom hem. On the front, the t-shirt features a large graphic artwork in contrasting colours, showing a Patta logo within a bright yellow sun, surrounded by a dark green circle. On the left side, a woven Patta size label is positioned right above the curved hem. The Patta Solar Curve Hem T-Shirt is available in two colours: Black and White. Each colour way is printed with multiple silkscreens for the contrasting colours. Details: The Patta Script Logo Stripe Tank Top is made from a light single jersey with an allover printed stripe pattern. On the front a large Patta script logo emblazes the classic tank top construction. The Patta Script Logo Stripe Tank Top is available in three colours: White/Melange Grey, Purple/Melange Grey and Andorra/Melange Grey. Each colour way features allover printed stripes and a large Patta script logo. Details: The Patta Side Script Hooded Sweater is a classic style with a regular fit, an adjustable hood and kangaroo pocket. Along the left side seam, the hooded sweater features a vertically positioned Patta script logo print while a woven Patta size label adorns the outside of the hood. The Basic Hooded Sweater is available in four colours: Orange.com, Black, Dark Olive and Melange Grey. Each style is brushed on the inside for a fleecy texture with a soft touch. Details: The Patta Side Script Sweat Shorts (Orange.com) is constructed with a relaxed fit that can be adjusted through a drawstring in the waist. On right thigh above the hem, the shorts feature a woven Patta size label while a large Patta script logo is printed vertically on the left leg. 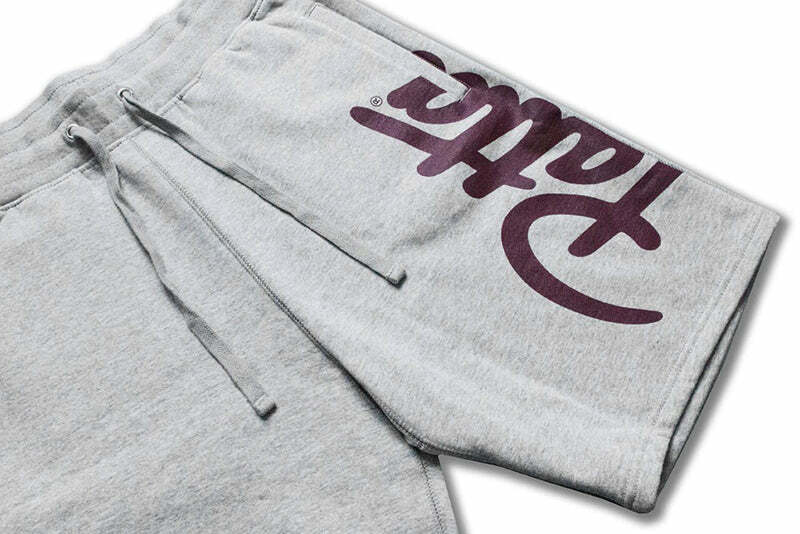 The Patta Side Script Sweat Shorts are available in four colours: Orange.com, Black, Dark Olive and Melange Grey. Each style has two side pockets and one back pocket on the right side. Details: The Patta Wavey T-Shirt is made from a light single jersey and has relaxed fit that is slightly elongated. On the front, the t-shirt features a large graphic artwork, illustrating the Patta script logo in a twisted motion. The Patta Wavey T-Shirt is available in four colours: Orange.com, White, Black and Purple. Each style is printed with a silkscreen and has a branded Patta label at the side.